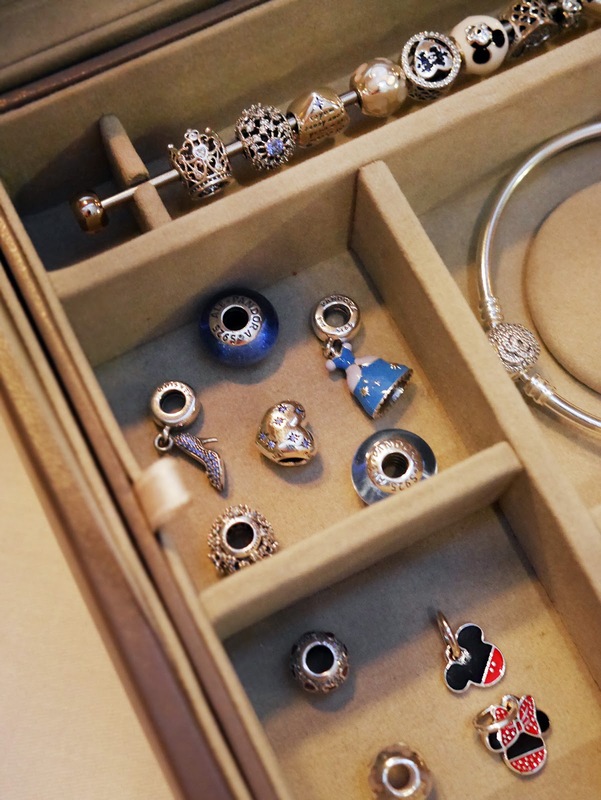 Recently I sat down for a late afternoon tea with the team at PANDORA to hear all about their new collaboration with Disney, which you've seen in a sneak peek in my outfit post here. 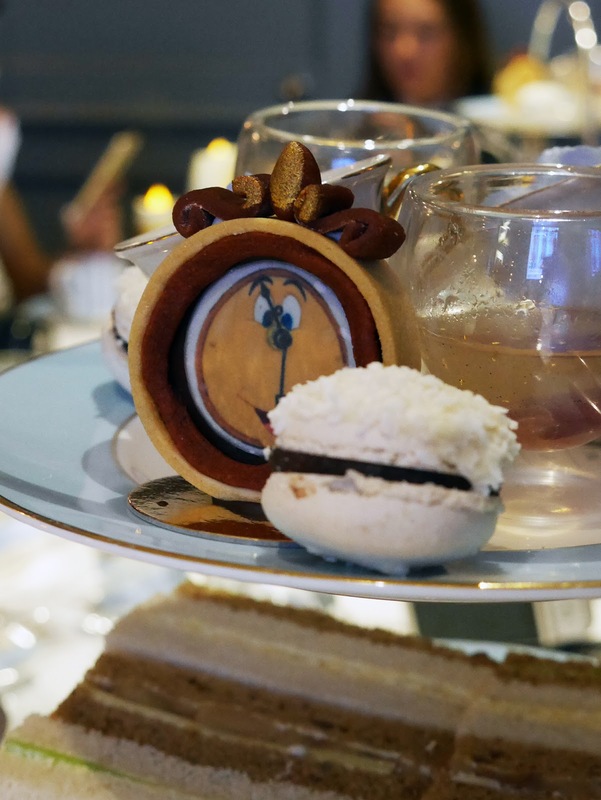 We chatted about the collection over the Tale As Old As Time Afternoon Tea at The Kensington Hotel, which as I'm sure you've guessed by the title of this post the tea is Beauty and the Beast themed. Could you think of a better seating for the launch? The afternoon tea was a feast for the eyes as much as it was for our tummies. I loved the attention to detail put into it, there was a vanilla and gold jelly which had captured a rose petal inside to imitate the iconic rose in the bell jar, how clever is that? If that wasn't magical enough, the jelly is then drowned in cream poured straight from Mrs Potts Sprout. So fun! One of my favourite treats from the night was the fresh brioche served with a nutty chocolate spread and apricot jam, this is the alternative to the traditional scones to give an authentic french twist! Another favourite was "the grey stuff" as recommended by Lumiere, which was a scrumptious white chocolate mousse. The perfect sweet to eat in front of the fire on a crisp winters night. We ate lots of cakes and nibbled on plenty of sandwiches whilst getting distracted by all of the sparkly jewellery around us. I think my favourite pieces from the collection are the Minnie Mouse Ears charm and the Thumper charm as I am obsessed with rabbits! I'm sure you'll agree that the range is super sweet, and everyone knows someone who LOVES Disney. Guaranteed to make a thoughtful and magical gift for Christmas! This must have been such a wonderful event! This Beauty and the Beast afternoon tea is amazing, I love the detail of it all, especially the "grey stuff"!